Israel is well known for its label as the startup nation, and engineering at Israeli universities is flourishing as well. However, so far IEEE student members have had very few organized activities. This dramatically changed this year at the First Convention of Electrical & Electronics Engineering Students in Israel (IEEEIs 2015). 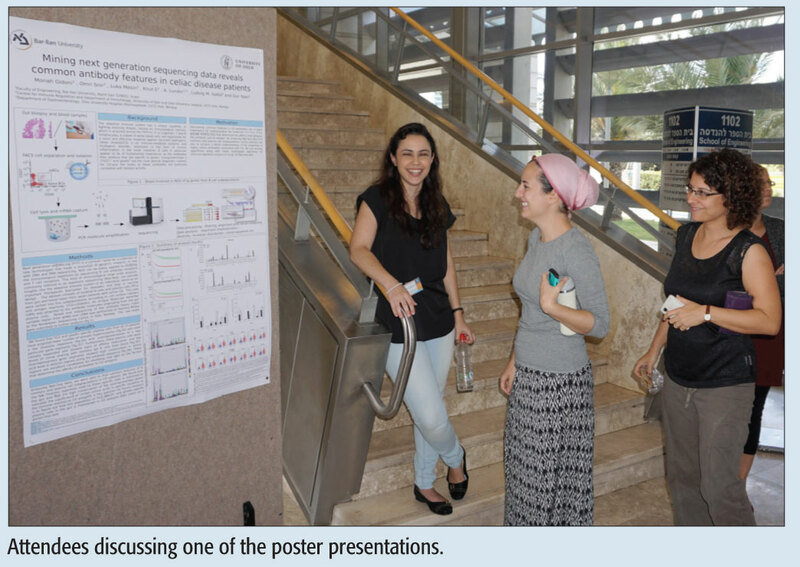 IEEEIs 2015 was held at Bar-Ilan University, Ramat-Gan, and featured keynotes, oral presentations, poster sessions, and a job fair. The convention targeted mostly graduate students, and gave them an opportunity to present their research in a professional yet casual environment. The convention was also a platform for meetings and exchanges of ideas between students and between students and senior researchers. The job fair also focused on graduate students, and featured leading high-tech companies. As an example, one of the participating companies, Mellanox LTD, offered more than 50 positions. As appropriate to an Israeli student conference, all keynotes were startup oriented (which also attracted B.Sc. students). Rafi Nave, a leading Israeli hi-tech entrepreneur and manager of the Entrepreneurship Center at the Technion, presented a talk titled “Hi-Tech Nation.” In his talk Mr. Nave surveyed that main strengths that made Israel a hi-tech nation, and pointed out that more than 50 percent of the GDP of Israel comes from the hi-tech industry. The second keynote, titled “Photonic Ear for Remote Detection and Diagnostic of Diseases,” was presented by Prof. Zeev Zalevsky, the vice dean of the Faculty of Engineering at Bar Ilan University. Prof. Zalevsky presented a few of his cutting-edge innovations involving the development of a laser based technology allowing remote and continuous sensing of nano vibrations of different tissues. The translation and analysis of the nano vibrations can be used for the detection of various diseases, as well as for establishing a very directional and noise immune sound-communication channel. The realization of the above mentioned capabilities is obtained by proper image processing of the time-space varying secondary speckle patterns generated by the back reflection of the laser light from the inspected tissue. The convention was closed by a keynote by Dr. Akihiko Sugiyama, who is an IEEE distinguished lecturer on signal processing. The talk, titled “What I Wish I Knew When I was an Entry-Level Engineer,” compiled Dr. Sugiyama career experience into a useful guide to the starting engineer. After the great success of the first convention, EE students in Israel are looking forward to the next convention! The Israeli IEEE COMSOC chapter supports the CE-Club, a Technion Computer Engineering Club that holds a weekly seminar discussing systems and theory of networking, distributed systems, and more. This club is a joint collaboration of Technion’s Computer Science and Electrical Engineering faculties. We meet every Wednesday at 11:30, alternating between both faculties, to hear an interesting research talk. We take a broad view of what constitutes “interesting,” both systems and theory of networking, distributed systems, storage, computer architectures, operating systems, compilers, etc. 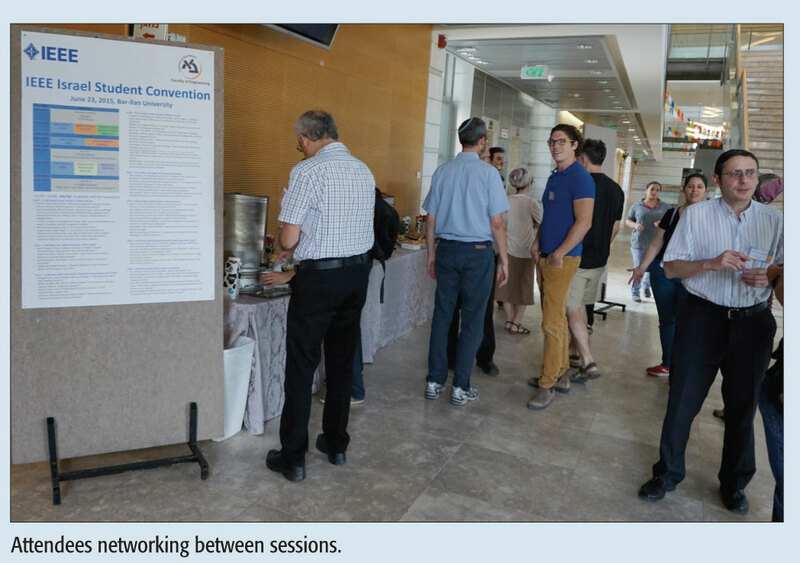 Our COMSOC members are also invited each year (our 10th year now) to “Israeli Networking Day,” which brings together members of the Israeli networking community from both academia and industry to discuss recent developments and research in this vibrant area and to foster new collaborations. The presentations in this event are focused on both published research results and on work in progress. In addition, we invite our members to the CYBERDAY workshop on Cyber and Computer Security in the Computer Science department at the Technion, together with the Technion Computer Engineering center. This workshop has been held since 2008, formerly known as the “CRYPTODAY” workshop.